Spring break arrives, which means a visit to Grandma and Mom's old hometown. Grandma is eccentric, but she's also cool and understands Erin's frustrations. And she can help. By taking Erin on a visit to Mom's old high school. Not Mom's school today. But Mom's school as it was in 1970! Talk turns to tennis, and inevitably the challenge is made and accepted. And they play the tennis match of the century. 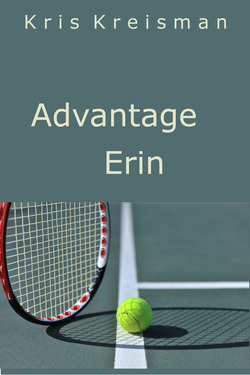 Erin had repeatedly heard how Mom was undefeated. Now was her time to do something about it. They battle hard until, in unexpected fashion, it's over. But when she returns to the present Erin learns the truth about Mom. And Mom learns some lessons as well. Enjoy Erin's thrill ride, her fun, her excitement, her anxiety. And discover how her trip to the past changes her present. Copyright 2012 by Kris Kreisman, All Rights Reserved.